Robert E. Park, Ernest W. Burgess,Roderick Duncan McKenzie, The City, University of Chicago Press, 1925/1984. M. Castells, The urban question: A Marxist approach, MIT Press, 1979. M. Castells, The city and the grassroots:a cross-cultural theory of urban social movements, University of CaliforniaPress, 1983. H. Lefebvre and S. Ravinovitch. Everyday life in the modern world. New York, Harper & Row, 1971.以及H. Lefebvre, The production of space, 1991, Blackwell. M. Foucault, “Text/contexts of Other Space.” Diacritics 16(1): pp. 22-17. 最初的版本為M. Castells, The rise of the network society. Cambridge, Mass., Blackwell Publishers., 1996. M. Castells, The power of identity. Malden, MA, Blackwell., 1997. M. Castells, End of millennium, Blackwell Publishers. 1998. 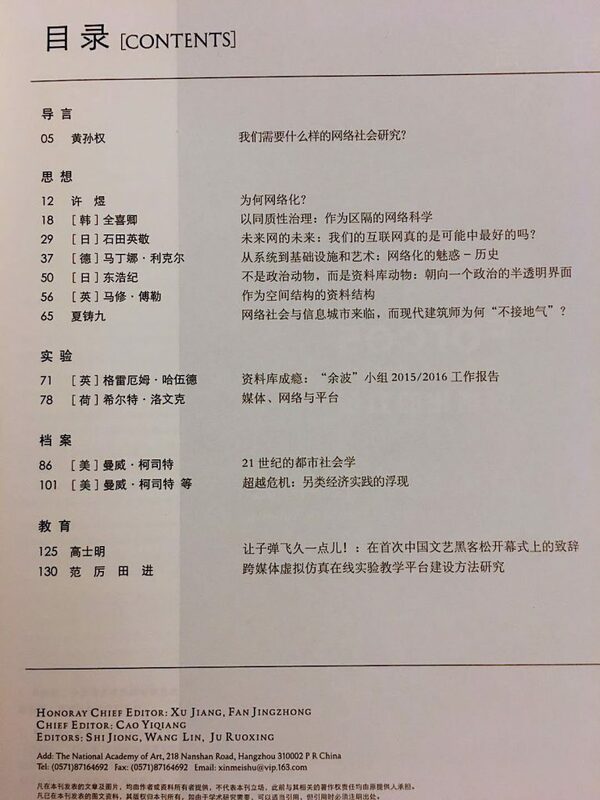 當時引起全球熱潮Thomas L. Friedman兩本著作，都是當時各國排行榜首列書籍，翻譯成多國語言。Thomas L. Friedman, The Lexus and the Olive Tree. New York, 1999.以及Thomas L. Friedman, and O. Wyman, The world is flat: a brief history of the twenty-first century, 2005. M. Hardt, and A. Negri, Empire, Harvard University Press, 2000. 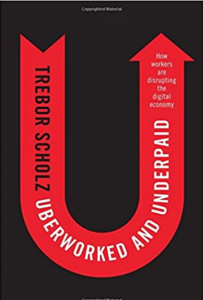 T. Scholz, Uberworked and Underpaid: How Workers Are Disrupting the Digital Economy, Polity Press, 2017. T. Scholz, Digital Labor: the Internet as Playground and Factory, Routledge, 2013. 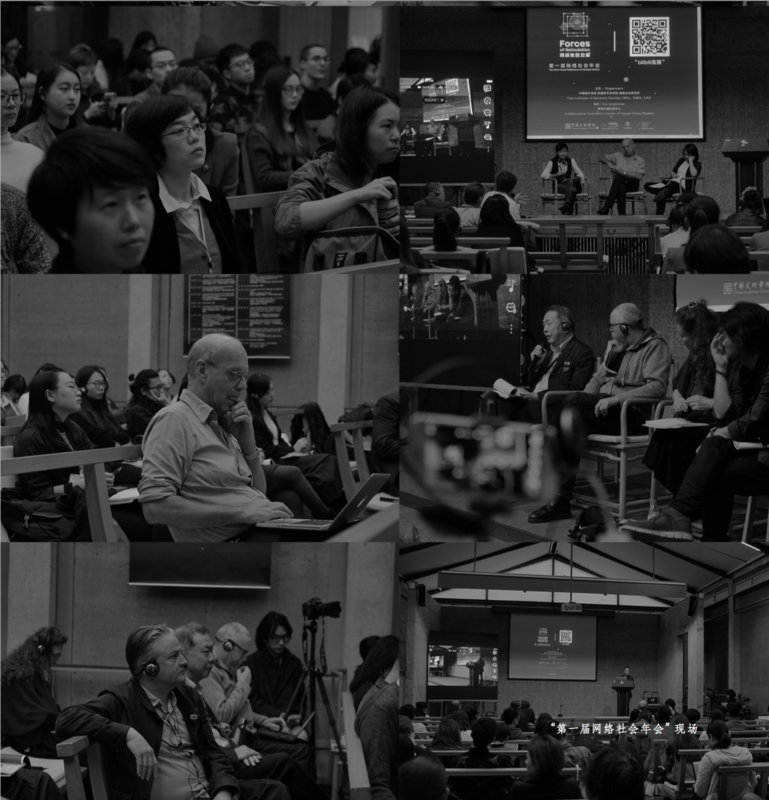 J. L. Qiu, Working-Class Network Society: Communication Technology and the Information Have-Less in Urban China, MIT Press, 2009. 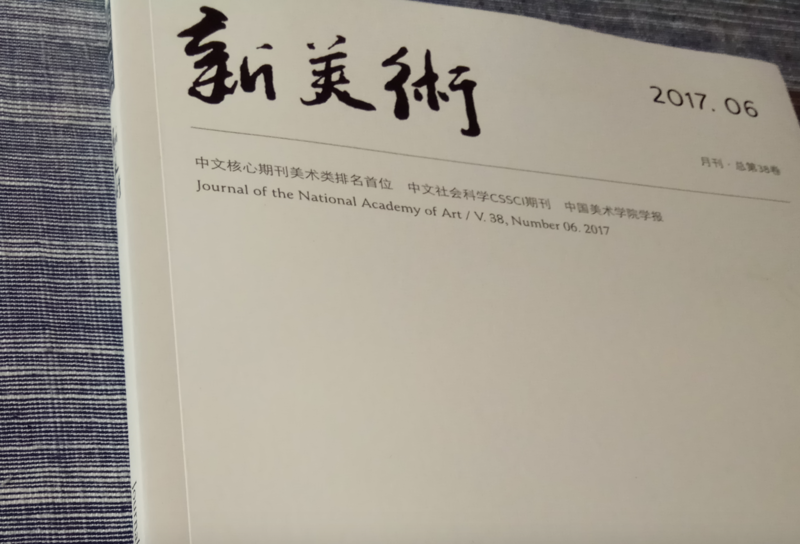 J. L. Qiu, Goodbye iSlave a Manifesto for Digital Abolition. University of Illinois Press, 2016. B. H. Bratton, The Stack: on Software and Sovereignty, MIT Press, 2015. Hobsbawm, E. J., Nations and Nationalism Since 1780: Programme, Myth, Reality. Cambridge England, Cambridge University Press, 1990. W. H. K. Chun, Updating to Remain the Same: Habitual New Media, The MIT Press, 2016. R. Williams, Keywords: a Vocabulary of Culture and Society, Oxford University Press, 1985. M. Fuller, Software Studies: a Lexicon, MIT Press, 2008. 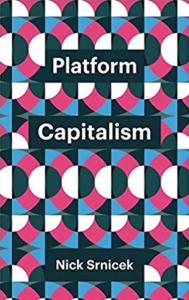 K. Marx, et al, Capital: a critique of political economy. Vol. I, 2001, pp. 553-555.